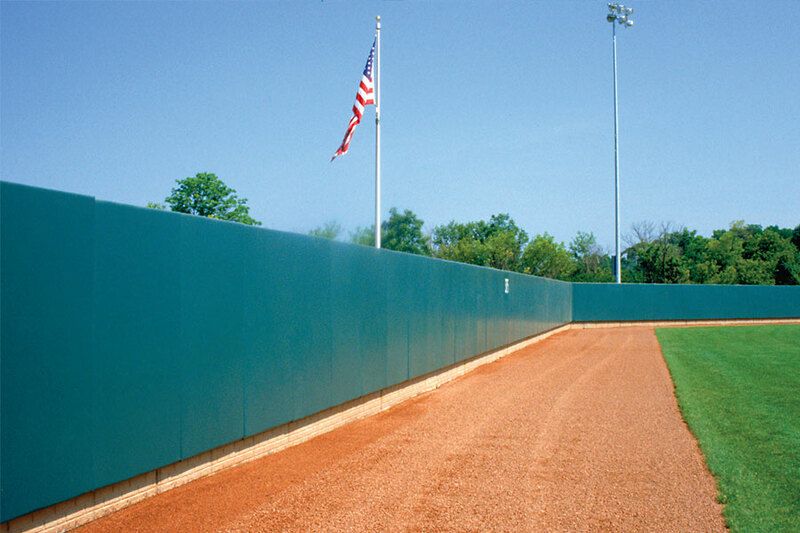 Protective padding enhances safety around light poles, backstops, and outfield walls. 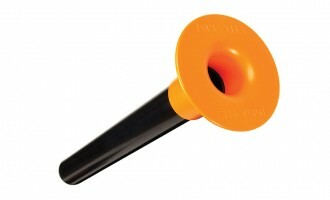 Also, reduce the risk of unpredictable ricochets from foul tips and passed balls. Add custom printing to bring team personalization or for sponsorship opportunities. Contact us for for an estimate on team personalization. Outdoors or indoors, protective padding means safety. 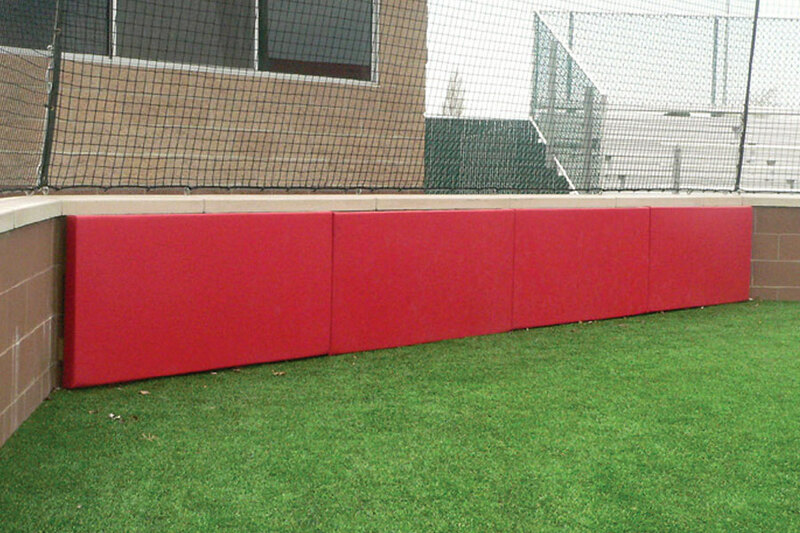 It’s an essential component for providing a safe athletic environment. Direct collisions are not the only safety concerns. Ricochets and rebounds from passed balls or foul tips also create a safety hazard. 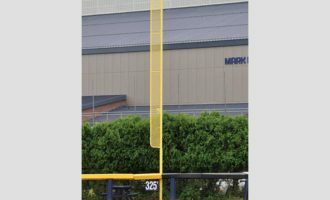 Dugout railings, backstops, goalposts, gym walls, light poles and outfield walls … they’re all things that players can — and undoubtedly will — make contact with at some point. 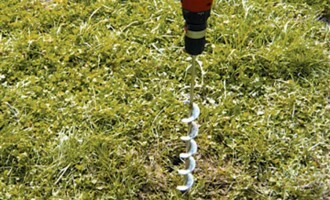 Our design-to-fit padding is sized for straightforward installation and easy off-season removal. 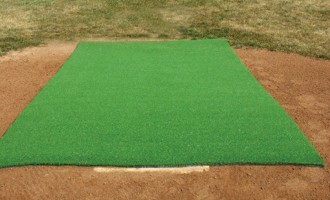 Contact us for consultation and pricing on design-to-fit indoor or outdoor padding. 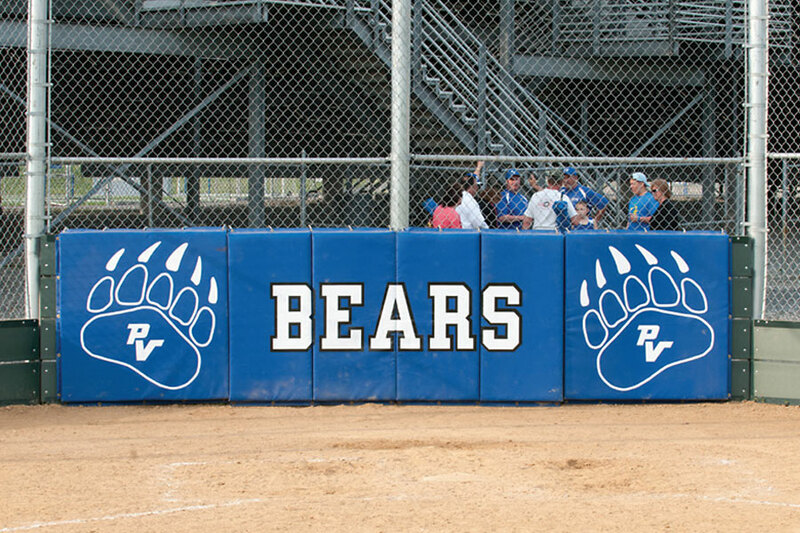 Standard Backstop Padding is available with or without custom graphics in 3′ or 4′ heights and several standard widths. 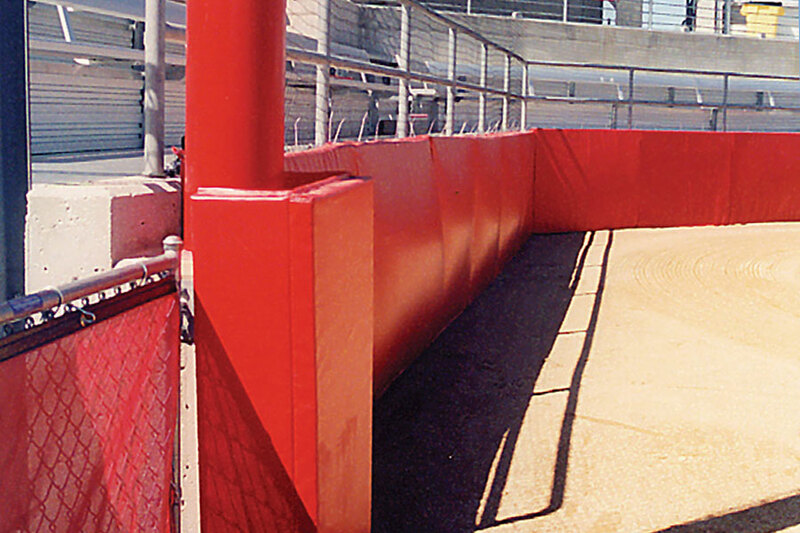 Also see our Rail Padding Kit for dugouts and stadium railings.